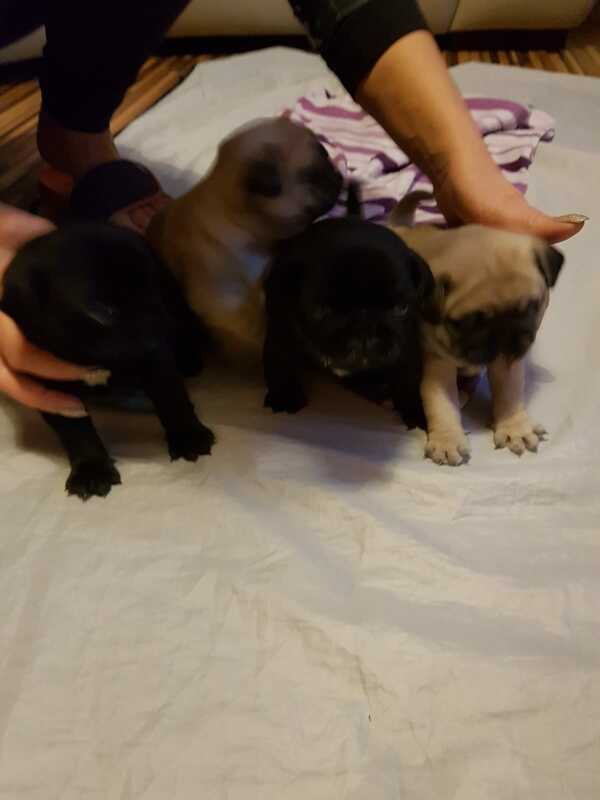 Here we have a litter of 4 beautiful pugs puppies for sale. 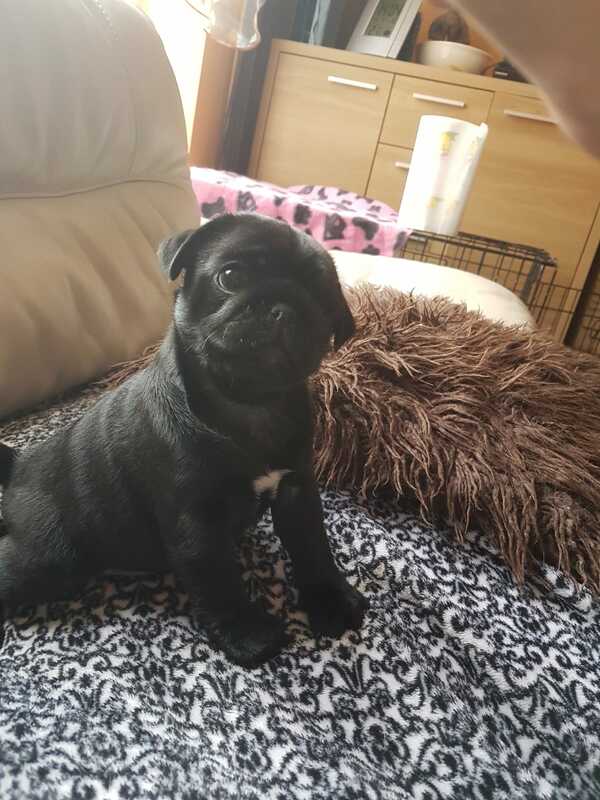 1 girl and 3 boys,(girl-fawn) KC registered, 5 Pedigree. Mum is our own pet. Mum and dad are registered KC. They are really lovely babies.